Gravity is now showing in cinemas in Australia and is distributed by Roadshow. Opening in the USA on the 4th of October and the UK on the 8th of November 2013. From the very first visual, you know you have entered into something very special with Gravity. Alfonso Cuaron's latest film is extremely ambitious, but his risk has indeed paid off. 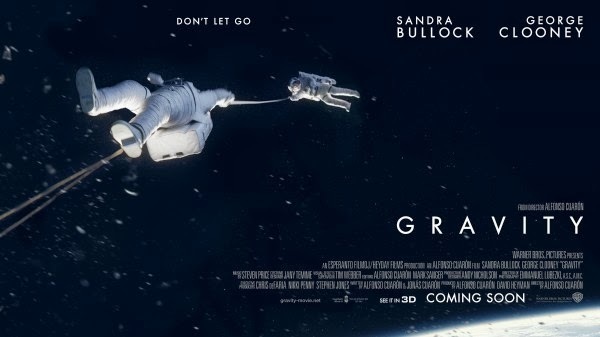 Gravity is visual perfection accompanied by 90 minutes of on the edge of your seat tension. It reminds us of how something so beautiful can be the source of complete terror hundreds of kilometres above Earth. Even though there are some aspects of the screenplay which are not all they can be, these moments are forgiven as the rest of the film is so spectacular. Medical engineer Dr Ryan Stone (Sandra Bullock) and astronaut Matt Kowalski (George Clooney) are undertaking a fairly straight forward routine maintenance on the space station when they are caught in a storm of satellite shrapnel. Their ship is destroyed and they are the only two survivors. They both begin their fight for survival on limited air and limited time. Gravity is completely unsettling and extremely tense. The film begins with text reminding us that there is no air and therefore nothing to carry sound in space. It is completely silent and no existence can be made. It is the stuff that nightmares are made of. The enemy is all around you and you are on your own. Nobody can save you and your chance of survival is slim to none. This is what makes Gravity so terrifying as this is the situation Sandra Bullock's Stone finds herself in. Yet for how terrifying the idea the fight for survival in this film is, it is just exquisite. Straight after the beginning text in the film comes one of the most amazing visuals ever seen in an opening of a film. As it is completely silent in space, there is no sound that accompanies an incredible panning out shot of the side of the Earth from space. After this breathless beginning, there are other absolutely stunning shots of the galaxy of stars and also more of the Earth is all it's glory below them. The end is also completely aesthetically pleasing. Director Alfonso Cuaron has ensured that the audience also see's this beauty in the optimum way. He employs 360 degree shots so that you are able to see both the characters and also plenty of the scenery. He has also made the interesting, but genius decision to allow the audience to be able to see exactly what Stone is seeing in particular key scenes. One particularly genius piece of film is when Stone is first separated from her ship and Kowalski and is spinning while she is trying to confirm a location. This puts the audience right in Stone's spacesuit and gives them the same sense of confusion and helplessness she feels from being thrown into the black, starry abyss. It is just unbelievable how far CGI has come and how it can make us feel as though we really are witnessing footage of outer space. To be able to experience Gravity in it's full glory, it should absolutely be seen in 3D. There are so many films that have chosen to be made to accommodate 3D just because the technology is available. Gravity actually uses 3D to it's advantage and uses it so that it adds to the intensity of the film. 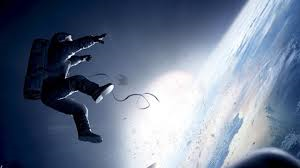 Seeing Gravity on the biggest screen possible and combining 3D makes you feel like you are really in space and are feeling like you are being swallowed whole by the universe, much like the characters of Stone and Kowalski in the film. This is a survival film, so the screenplay itself relies much more on film making methods rather than the story and script to create the tension. The script does allow for some cliché dialogue about survival that one would normally find in such a film. Also typical of the survival film is the unrealistic element of how much the lead can go through and not be beaten by it. However, who are we to say whether that is realistic or not considering the normal everyday person will never go into space so how do we know what would be possible and what wouldn't. Sandra Bullock is to be given the highest praise for the film , not just because she gives a wonderful acting performance, but also because of how mentally and physically complicated the film and her character are. Bullock spends the majority of the film as the sole human being on screen and at only one point in time in the film does she have her feet on the ground. 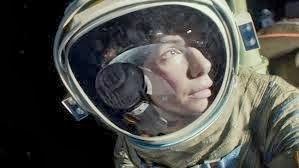 She is in a constant state of non-gravity and spends most of the film in her spacesuit. She does do an incredible job and gives a wonderful performance. George Clooney is good, but his character doesn't really give as much as what Bullock's does. He is likable and very funny, but one feels it is just George Clooney being George Clooney in space. Gravity is an absolute cinematic spectacular. It is the one film you should definitely see in 3D this year to really get the full experience. Alfonso Cuaron has confirmed himself as one of the great filmmakers of our time with this beautiful film.